It's been all over the news, so I'm sure you know we have a bunch of wild fires all over the state of Colorado. The latest and most destructive is the Waldo Canyon Fire down near Colorado Springs. That's about 50 miles away from us, and I took this picture of the smoke plume from our deck. 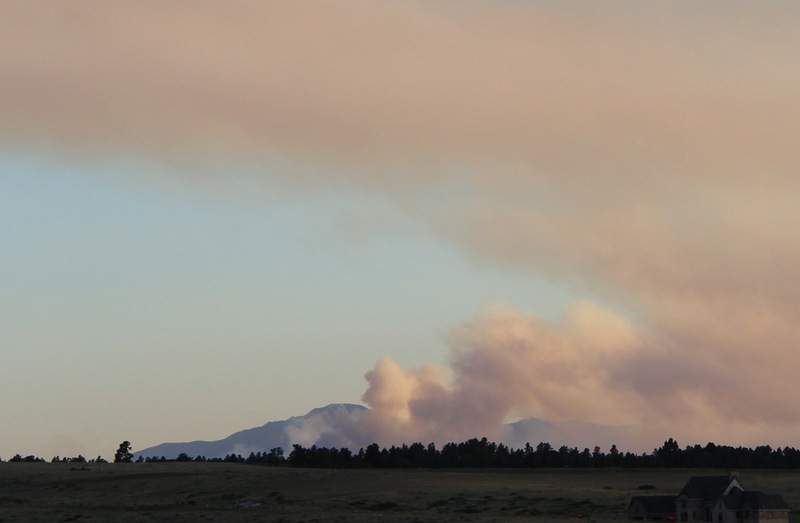 You can see Pike's Peak on the other side of the smoke.